The trend among concert organizers in Japan to scan the faces of fans at venues to discourage ticket scalping has finally been adopted by Arashi. Johnny & Associates has announced it will introduce facial-scanning technology for Arashi’s “Japonism Show” concert tour, the first time for one of its acts. The group’s tickets are notoriously hard to obtain. Only Arashi’s fan club members are eligible to apply for a ticket, and they still need to win a fiercely competitive lottery. Ardent fans of the group obtain multiple fan club memberships using names of their family members and friends in an attempt to beat the odds. 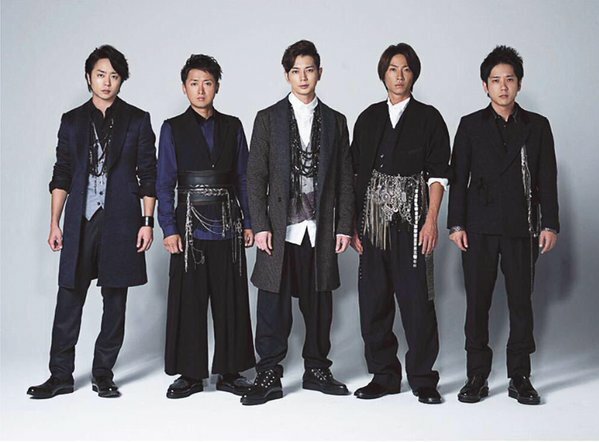 For those who are not fan club members or lose in the draw, the only way to go to an Arashi concert is to buy tickets from online resellers, such as the popular Ticket Camp website, which resell tickets for concerts, musicals, sports and other events. Tickets for Arashi concerts, which originally cost less than ¥10,000, regularly fetch hundreds of thousands of yen on the thriving online resale market. While Johnny & Associates stipulates on each concert ticket of its acts that entry is only for those who originally obtained them, it used to be technically difficult to confirm everyone’s identity at the entrance to concerts that often draw tens of thousands of fans. Under the new system, applicants for tickets must submit their mug shot via email along with their application form. The facial recognition technology installed at the entrance of concert venues does the rest. The agency’s move has drawn a mixed reaction from fans. “I’m happy because the new rule will discourage ghost fan club members who use other people’s identities from entering the ticket lottery,” said a 16-year-old high school student from Tochigi Prefecture. Meanwhile, a female fan in her 40s expressed her regret because it will deprive people who desperately want to see Arashi, even at a high cost, of an opportunity to ever see them. Other fans also voiced concerns that they may not be able to sell their tickets when they suddenly become unable to attend a concert. The new rule aims to allow only people who obtained tickets through an official route to enter the shows, said a Johnny & Associates spokesperson. The technology to scan ticket-holders at concert venues has already been used at shows of other popular performers such as Momoiro Clover Z, B’z and Mr. Children since 2014. NEC Corp., the developer of the face-scanning system used for concerts, said that the false recognition rate was only “three out of 1,000” during the system’s developmental phase about six years ago and has since improved further. Arashi’s nationwide arena tour will kick off at Sun Dome Fukui in Fukui Prefecture on April 23.